Basically many companies will have their own catering facility in order to provide meals for their employees. And in the olden days, there has been a manual printing process to issue coupons to the employees. 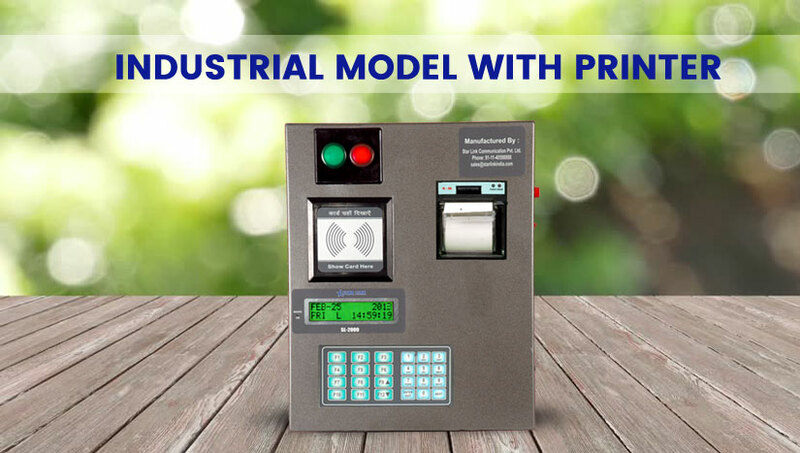 With the advanced improvements in technology, Starlink India, the largest Biometric Machine Manufacturer in Delhi has come up with an Industrial Model with Printer that is mainly designed to serve the best canteen management system. The Industrial Model with Printer is a device that is available with thermal printer in order to print coupons for the employees. They are designed in such a way that they can suit any type of surroundings and are completely durable. This has completely replaced the traditional method of printing the coupons. However, the Canteen Management Software has eventually reduced the complexity and give a perfect solution for the employees. The software is designed in such a way that it will minimize all the issues related to canteen management. The coupons can be easily generated by user login on to the system by using authentication services like fingerprint or passwords. All the login details will be provided by the company so that the staff can easily access them. The Starlink provides user-friendly service with simple directions to operate it. And the control system is access to with complete menu information that is needed on a regular basis. Eventually, this will reduce the burden of maintaining records every day. They were given more comfort and relaxation from the burden of arranging all the items each day. Therefore the software ensures perfect management and distribution of services that are served at the right time. Helps in employee or guest authentication by accessing through fingerprint or passwords. It offers cashless transaction that is quite easy. Easy to select the items available on the menu. Very effective coupon printing service. Employee identification along with the time and attendance. Effective management of progressive reports. It is very easy to set the rules and regulations that can be implemented in the software itself.